Advanced Instructor Certification On Demand is designed for first time certification candidates who have met all advanced prerequisites or for those individuals needing to “retest” in one or more components. Registered Instructor Certification on Demand is designed for first time certification candidates who have already attended workshop but are not available on either of the available dates. 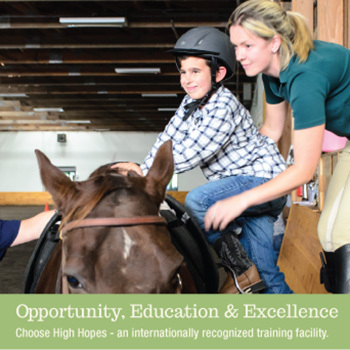 The field of therapeutic riding offers rewarding career opportunities combining elements of physical therapy, occupational therapy, speech and language pathology, education, psychology and child development with horsemanship teaching skills. Registered Instructor Certification on Demand is designed for first time certification candidates who have already attended workshop but are not available on either of the available dates. Certification on Demand is also great for those individuals needing to take the certification a second time (“re-certification”). There are two ways to study the basics for achieving PATH Intl. Registered Certification to become an instructor. Both require successful completion of Registered Criteria: certification can be achieved through attending a PATH Intl. Approved Training Course (such as our Instructor Training Course) or through a multi-step, self-directed educational process which culminates in an Onsite Workshop and Certification. For those who cannot devote 10-12 weeks (which does include flexibility during the practicum phase) at one time to becoming a certified instructor via the Instructor Training Course (ITC), PATH Intl. offers a self-directed alternative. This 3-day workshop will focus on providing a comprehensive review of PATH Intl. Advanced Instructor Criteria and will explore all aspects of the criteria through classroom discussion, hands on learning, and teaching opportunities with current High Hopes participants. This workshop will include many opportunities for discussion and candidate evaluation. 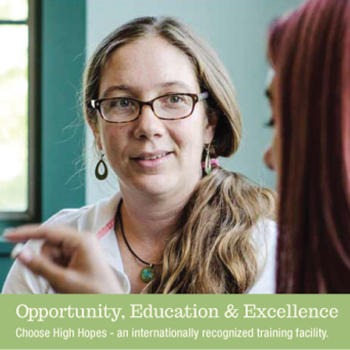 High Hopes offers workshop/certification for the Registered Level twice a year. In addition, High Hopes offers “Certification on Demand” for first time participants who are unable to attend on either of those dates, and for those who need to take the certification a second time (“re-certification”). High Hopes is one of 5 PATH Intl. 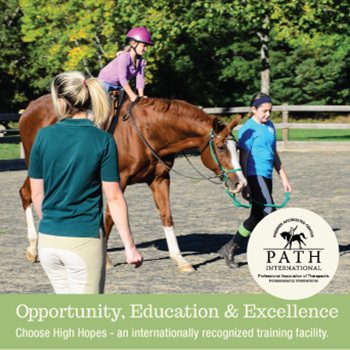 Premier Accredited Centers in the country currently offering the PATH Intl. Approved Instructor Training Course. As part of our commitment to Opportunity, Education & Excellence, we also provide a wide variety of workshops offering EAAT Professionals continuing education opportunities qualifying for PATH Intl. CEU’s.